Guerilla Bob is a fast-paced shooter that offers a visually impressive run-and-gun experience for the Google Android platform. The game’s story mode puts you into the shoes of a one-eyed, machine gun-toting mercenary who lets his guns do the talking. With two gameplay modes, this explosive shooting game offers hours and hours of non-stop bullet menace. You can explore the 3D world while pinning down fearsome foes equipped with chainsaws, Gatling guns and other assorted weaponry. The game also has a classic survival mode which pits you against endless waves of baddies who come from all sides in a closed arena. 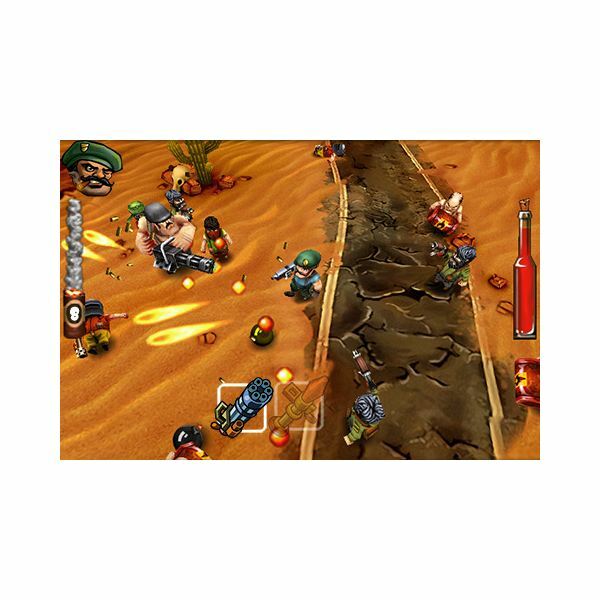 Guerilla Bob is no serious military shooter as there are several hilarious instances in the game. The dialogue is amusing, making you believe that even a hard-core action game can have a lighter side. There are several story twists that will keep you glued to your Android screen and plenty of weapon unlockables, power-ups, achievements, bonus items and upgrades. The game retains the old-school shooter mechanics by adding epic boss modes and each level has at least one fearsome boss guarding the gateway to a new level. The game’s cross-platform multiplayer mode lets you team up with your iPod, iPhone and iPad-owning friends and wreak havoc against the bad guys. Overall, Guerilla Bob is one of the best Android shooter games around and is exceptionally well designed. Ideal for run-and-gun fans. This top-down Zombie survival shooter game boasts a 2 player co-op mode. You will have plenty of weapons, including rifles, shotguns, explosives and a rocket launcher to pin down hideous zombies. Each kill earns you cash, which can be used to upgrade your character, weapons and unique items. The survival part of the game lets you hide behind a few wooden barricades and a military surplus store to protect you from hordes of evil zombies. You can use your carpentry skills to create a shelter and find a perfect spot to shoot them down. The cash earned can also be used to repair your barricades. The most entertaining mode is the 2 player co-op mode as it allows your friend to jump into the zombie shooting fest with you. The single player mode is as addictive as multiplayer co-op mode, but can be more challenging. Last Stand’s paid version has more features than the lite version. You can try the free version of the game and then buy the full version if you feel the game is as immersive as other PC and console zombie shooting titles. This addictive top-down arcade shooter is incredibly fun to play, and boasts amazing co-operative (main character with friendly AI) gameplay and loads of shooting excitement. The objective is to eliminate waves and waves of mech enemies and hideous aliens. You assume the role of a highly specialized superhuman special agent who is tasked to protect the universe from the clutches of the evil T.O.O.L organization. You team up with another superhuman and wreak havoc on cyber baddies. The app’s two on-screen thumb sticks let you control the character and the direction of his weapon, while the friendly AI blasts anything that comes closer to him. The in-game thumb stick's response to touch is excellent, thereby giving you the freedom to move your character and his weapon while eliminating bad guys. Gun Bros. allows you to wield two weapons at a time and switch between weapons anytime by pressing the blue button. You can choose a shotgun to fire at close-range enemies and then switch back to the machine gun to blast off faraway enemies. When you begin playing, the game will display different planets and each planet has several “zones” that can be unlocked once you have eliminated the waves of enemies in the previous zone. The planet backgrounds are diverse and vibrant and each of them harbors aliens of various kinds. The aliens and cyber enemies attack in waves and you will have to successfully fight off different kinds of monsters in each wave. However, the one gripe I have with the game is the lack of a 2-player co-operative mode in spite of having two brothers fighting off enemies. Developers at Glu Mobile might look into this aspect and we may have a two-player co-op mode sometime in the future. Apart from the multiplayer mode, Gun Bros. scores pretty well in everything and reminds you of the 90's exceptionally well-designed top-down shooters. Contract Killer is a fixed screen sniper shooter game with exceptional graphics and brilliant play value. Created by Glu Mobile, this Android shooting game puts you into the shoes of a marksman who kills for money. Through a variety of levels, you will use his expert marksman skills to eliminate targets and rake in hard cash and XP. In Contract Killer, sniping down targets gets more difficult as you progress through the initial levels of gameplay. In some missions, innocent citizens and the target’s bodyguards will spoil the party and you will have to be patient enough to sift through them and clear your target. If you miss the target, all will run away and this will lead to a mission failure. A successful kill earns you XP and money, with which you can buy more advanced sniper rifles, assault rifles, sub-machine guns, ammunition and additional accessories. The game updates with new assignments regularly and there are virtually infinite assignments for you to take. The game fares quite well in the graphics department. The game shows real attention to detail, which is quite evident when you zoom in your scope to see a lively world. The sound effects and music are of excellent quality. 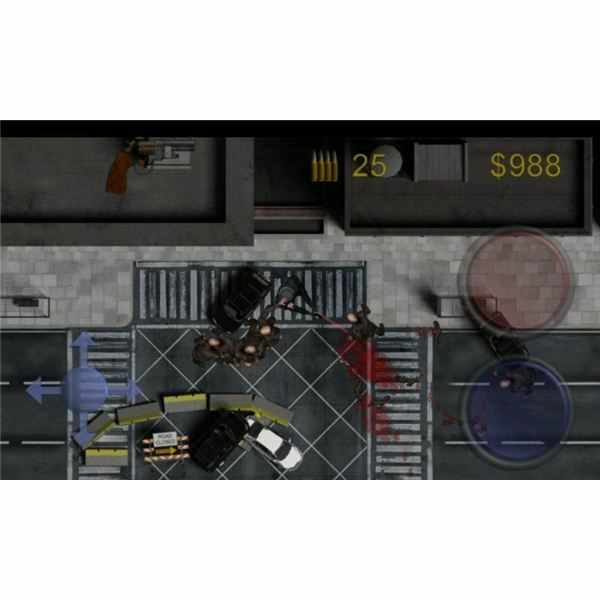 All in all, Contract Killer is the best Android shooter sub-genre game because of its varied, challenging missions and sniping tasks. Screenshots, courtesy of their respective developers.